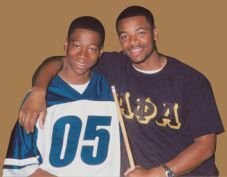 The Alpha Phi Alpha-Big Brothers Big Sisters Partnership began in the early 1990s. Now, the partnership is moving to the next level in scope, capacity and effectiveness. How? By engaging each Alpha Brother in a simple challenge: Become a friend. Every Brother has the unique potential to make a difference in the easiest and simplest way. We've found that just sharing everyday activities with a child creates experiences, connections and memories that have an extraordinary impact. But it will take the commitment of Brothers from every Alpha chapter to reach our goal. It is time to "get back more than you give"--to be a Brother to a brother. The Alpha Honor Roll is a list of Alpha men who are contributing to our great organization in some capacity. They may be a board member, on staff, a Big Brother, a donor or an organizer for Bowl for Kids' Sake, mobilizing men in other organizations they belong to, a coordinator for Big Brothers Big Sisters in their local chapter, or they may have referred seven of their friends to Big Brothers Big Sisters. Current General President, Darryl R. Matthews has challenged the Alpha Phi Alpha's to step up, man up, follow up and become a Big--and so far, 913 of them havedone just that. 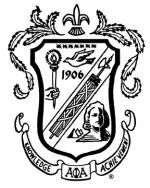 Read the names of the Alpha Phi Alpha Honor Roll members here: Alpha Phi Alpha Honor Roll. Activities: Social, skill building, academic support, fun times, athletics, etc. Location: Site-Based, School-Based or Community-Based. Frequency: Big Brothers are expected meet with their Little Brothers at least once every two weeks. In some circumstances, it is acceptable to meet once a month with phone contacts in between. Duration: Matches should last at least one year. Big Brothers: Alpha Brothers and others referred by Alphas. Little Brothers: Young African-American males, ages 6-18, identified by Big Brothers Big Sisters local agencies. 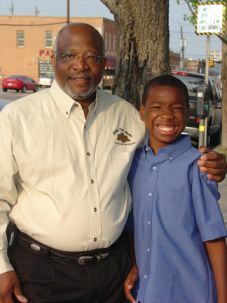 Commitment: General President Darryl Matthews is calling for Alpha Phi Alpha men to be responsible for 10,000 Littles.